Robert Fidler, 66, hid his new build property from the council for years behind a giant wall of hay bales. He argued that he only built the property secretly in 2000 because planning authorities in Surrey failed to acknowledge an application to convert an existing property for nine years. Now, however, Mr Fidler has been given an injunction ordering its demolition. But the farmer is fighting back; claiming that an ecological survey conducted in June this year had established the presence of bats and newts around the property. In Britain, all bat species and their roosts are legally protected. Mr Fidler said that he would be breaking European laws if he demolished the house as required by a court order without establishing the possible impact on “roosting” bats at the property. To add to the confusion, Mr Fidler also said that he was no longer the owner of the property, having sold it to a buyer earlier this year who allowed him to stay in the house – though he now faces eviction. Mr Fidler hoped that by concealing the house at Honeycrock Farm in Salfords, he could exploit a loophole that meant if a construction was uncontested for four years authorities could not touch it. 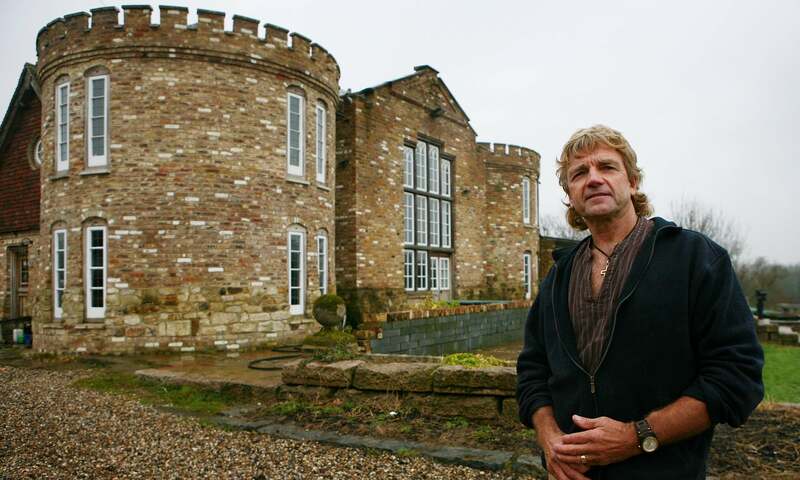 The farmer and his family moved into the castle in 2002, but it was later discovered by Reigate and Banstead Borough Council who ordered its demolition in 2007. The council, which had to take Mr Fidler to court after he refused to comply with court orders and an injunction ordering him to knock it down, said the case has cost it £50,000. He claims to have written to the council but said they have failed to respond. He accused the council of having ‘no interest at all in their responsibilities to wildlife’. Today, Mr Fidler has been given three-month jail sentence for contempt of court, suspended pending compliance with demolition order by next June.